A potentially hazardous asteroid (PHA), estimated to be around 300 meters in size, is expected to pass by the Earth on Wednesday, May 9. 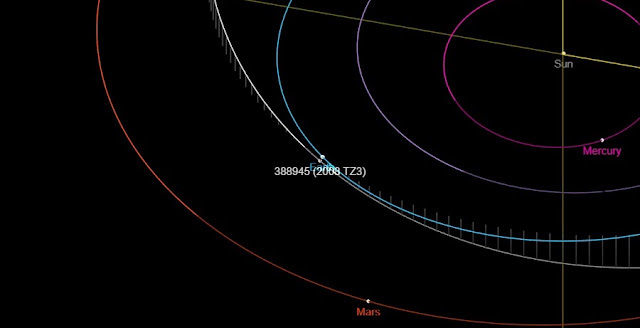 The space rock, designated 2008 TZ3, will fly by our planet at 10:06 UTC at a safe distance of about 6.5 lunar distances (LD), what corresponds to 2.5 million kilometers. Lemmon Survey (MLS) on October 6, 2008. MLS utilizes a 1.52 m cassegrain reflector telescope at Mount Lemmon Observatory in Arizona. It is one of the most prolific surveys when it comes to discovering new NEOs. So far, it has detected more than 50,000 minor planets. According to astronomers, 2008 TZ3 has an absolute magnitude of 20.4 and a rotation period of around 44.2 hours. The object orbits the Sun every two years at a distance of about 1.59 AU from it. On Wednesday, 2008 TZ3 will whiz by our planet with a relative velocity of 9 km/s. 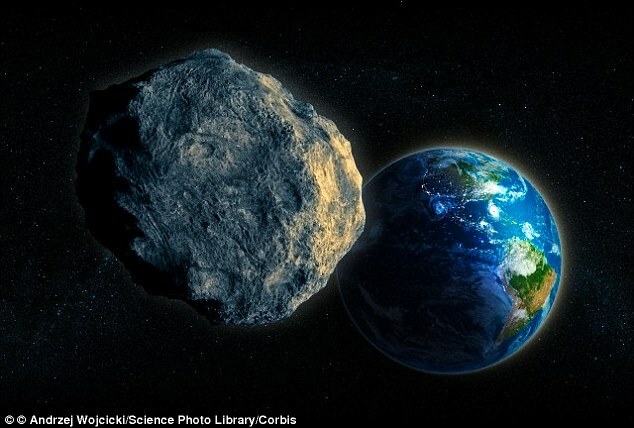 Next close approach of this asteroid to Earth will occur on May 10, 2020, at a distance of about 7.28 LD. On May 6, there were 1,907 PHAs detected, however none of them is on a collision course with our planet. PHAs are asteroids larger than 100 meters that can come closer to Earth than 19.5 LD. To date, astronomers have discovered nearly 18,200 NEOs. Since the beginning of this year, 631 such objects were detected.